Juices let it be a fruit juice or vegetable is a very healthy drink. 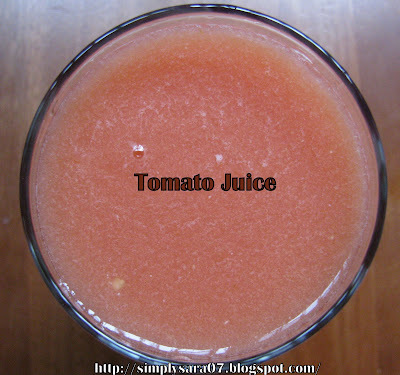 With that note I am posting a simple and easy recipe for tomato juice. I had few riped tomatoes so thought of making juice this time. Tomatoes - 5 nos , Sugar - (As per your taste/ depending upon sweetness of the tomatoes) Ice cubes - few (optional) Can also add a pinch of Black salt or chaat masala. Grind tomatoes and sugar with water in juicer or mixie. Strain it and serve with ice cubes or chilled. Tomato Juice is ready to serve. Never tried as sweet version, will try out..my version goes for pepper powder and salt...Such a refreshing juice..
Hello , first time here.U have a nice blog.recipes are good.Never tried this..Looks nice ..
hi saras, delicious and health juice. delicious juice.. do pick ur award from my blog.. I got an Award for you. Pls collect from my blog. 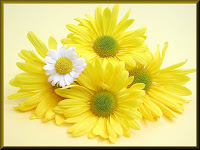 Please accept the awards waiting for you in my blog!!! Dear Priya, Chitra, Rekha Thanks a lot for your comments. Dear Sanghi, Jyoti and Rekha Thanks a lot for the awards will accept it soon. Dear Parita, Thank you for the comment.